St Kilda CEO Matt Finnis confirmed members will still have access to 11 games at Marvel Stadium in 2019. We have a significant number of fans who attend every home match, and we wanted to make sure they could still attend at least 11 games at Marvel Stadium. St Kilda members will still have access to 11 games at Marvel Stadium despite the club’s decision to play in China. The Saints today announced they would pass on the rights to a home game to Port Adelaide, joining the Power for a Shanghai showdown on 2 June 2019. St Kilda CEO Matt Finnis said St Kilda fans were among the first considerations before entering the agreement with Port Adelaide, the AFL and the Victorian Government. 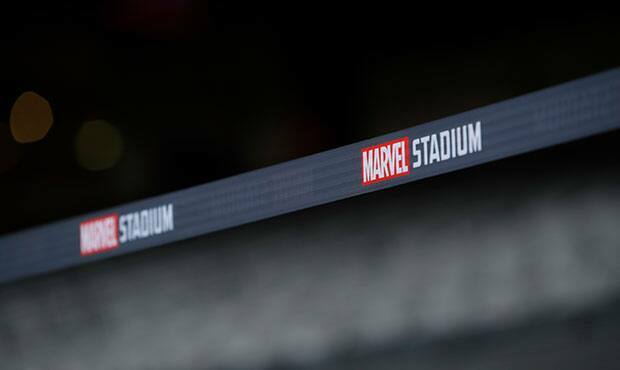 “We have a significant number of fans who attend every home match, and we wanted to make sure they could still attend at least 11 games at Marvel Stadium,” he said. “We look forward to confirming which replacement game they will have access to once the fixture is released on 31 October. “We will work with one of our fellow tenant clubs at Marvel Stadium to ensure members have access to seats that are comparable to where they’d normally sit for a typical St Kilda home game. “Playing in China will significantly strengthen the club and open the door to a huge number of opportunities, which will ultimately benefit our members. “We’re hoping a large contingent of Saints make the trip to support the boys in Shanghai, and we look forward to sharing this experience with them. Click here for more information on travel packages.